In our last blog post we discussed what terpenes are and a few different examples of terpene producing plants, like oranges! In this blog were going to cover the most common terpenes in cannabis and how to help you find the right terpene profile. Terpenes play an important role in the overall health and well-being of humans and animals. They are a group of chemical compounds that interact with a variety of different receptors within our bodies. These key-and-lock type of chemical connections allow for biological pathways within our body to be regulated. Terpenes are also known as essential oils. A good example of how their use can change your mood is displayed when using the essential oil of lavender. After being heated and inhaled, the vapor creates a calming effect because the terpene linalool is present in large quantities in lavender. There are hundreds of different terpenes present in cannabis and they are produced in varying levels. This gives cannabis its wide range of different fragrances, as well as its physiological and mental effects when consumed. Beta caryophyllene is the most common terpene present in cannabis, according to 2008 study titled 'Beta caryophyllene is a dietary cannabinoid' by Gertsch et al. that was published in the Proceedings of the National Academy of Sciences. The study states that beta caryophyllene can make up to 35% of the terpene profile in cannabis. Other common terpenes in cannabis are myrcene, linalool and limonene. These terpenes make up some very popular cultivars like Blue Dream where linalool is the predominant terpene in that strain's profile. Using resources like Analytical 360’s website, which posts terpene profiles for their tests, will help guide you to what kind of high you are looking for. Do you want that uplifting high for a nice summer afternoon smoke? Or how about that crushing stoned feeling to help you get to sleep at night? 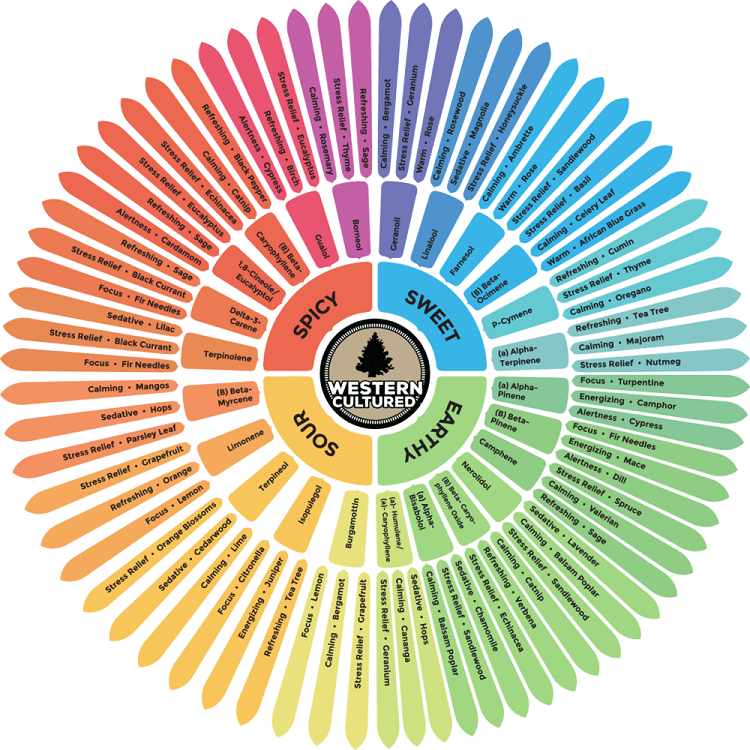 Check out our next installment in this series, for more information on the wonderful world of terpenes.